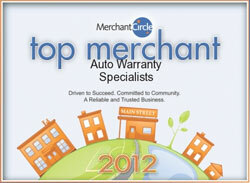 This is the most comprehensive Service Agreement that you can purchase for your vehicle. Since there are so many parts on a car, they can only list what is excluded. All parts on the vehicle not listed in the exclusions, are covered. Hence the phrase "Exclusionary." Dodge Extended Warranties offers Exclusionary Coverage for most vehicles 20 years old or newer with less than 60,000 Miles on the Odometer.